CMEC is involved in the design, implementation, and analysis of pan-Canadian and international assessment programs and other large-scale studies that examine student performance and provide information on other aspects of our education systems. 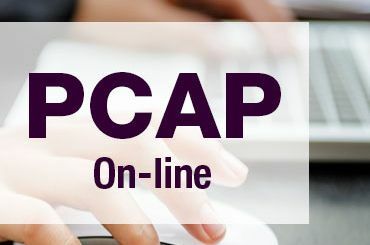 The Pan-Canadian Assessment Program (PCAP) is a Canadian assessment of the skills and knowledge of Grade 8/Secondary Two (in Quebec) students in reading, mathematics, and science administered in the provinces and territories. PCAP is coordinated by CMEC and has been administered every three years since 2007. The Programme for International Student Assessment (PISA) is a longstanding international assessment from OECD of the skills and knowledge of 15-year-old students in reading, mathematics, and science administered in a large number of countries around the world, including Canada. In Canada, PISA is coordinated by CMEC in cooperation with Employment and Social Development Canada and has been administered every three years since 2000. All 10 provinces take part in PISA. The Programme for the International Assessment of Adult Competencies (PIAAC) is a relatively new international assessment from OECD of the foundational skills of adults between 16 and 65 years of age administered in a large number of countries around the world, including Canada. PIAAC also collects information on how participants use their skills at work and in other contexts. In Canada, PIAAC is partnership among Employment and Social Development Canada, CMEC, and other federal agencies and departments. The assessment is coordinated by CMEC. All provinces and territories took part in PIAAC 2012. The next cycle of PIAAC will be in 2018. The International Computer and Information Literacy Study (ICILS) is an international assessment from the International Association for the Evaluation of Educational Achievement (IEA). ICILS assesses the extent to which Grade 8 students know about, understand, and are able to use information and communication technology (ICT). ICILS was administered for the first time in spring 2013. Two provinces participated in 2013 and CMEC coordinated their involvement. The Teacher Education and Development Study in Mathematics (TEDS-M) is an international comparative study on teacher education that focuses on the preparation of teachers who will be teaching mathematics in primary and lower secondary grades. Four provinces participated in the latest cycle of this study, and CMEC coordinated their involvement. The Progress in International Reading Literacy Study (PIRLS) is an international assessment from IEA of Grade 4 students' reading-literacy achievement. Although a few individual provinces participated in PIRLS 2001 and 2006, PIRLS 2011 marked the first time a majority of provinces participated. CMEC coordinated their involvement. For PIRLS 2016, IEA added an innovative assessment of on-line reading. Eight provinces participated in PIRLS 2016. The Trends in International Mathematics and Science Study (TIMSS) is international assessment from IEA, of the mathematics and science knowledge of students in grades 4 and 8. TIMSS was first administered in 1995, and it has been carried out every four years since then. Five provinces participated in TIMSS 2015. Results from these different assessment programs are now discussed in Assessment Matters! — a series of policy-oriented research notes designed to explore educational issues in Canada and Canadian jurisdictions.